Applications are invited to Apply for Pakistan Aeronautical Complex PAC Kamra Internship 2019. Pakistan Aeronautical Complex PAC Kamra Internship 2019 is a great opportunity for students for students in Pakistan. 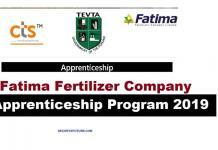 PAC Kamra Internship is offered every year for the students in Pakistan and 1000+ students have availed the opportunity from PAC Kamra Internship Program. Pakistan Aeronautical Complex PAC Kamra Internship consist of two parts 1) PAC Kamra Winter Internship and 2) PAC Kamra Summer Internship. 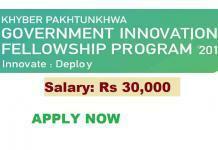 Every years thousands of students from around the Pakistan send Applications for PAC Kamra Internship. Students from selected HEC recognized universities who have passed 2nd year / 06 Semester are eligible to apply for PAC Kamra Internship 2019. Duration of PAC Kamra Internship or each batch is 2-3 weeks. You can apply for PAC Kamra Internship 2019 By sumbitting the application form . All the Applications for PAC Kamra Internship 2019 can be downloaded from the link below . Complete filled forms duly countersigned by Head of the Department are to be sent at the following address in 04 copies. The address by which the form is to be sent for PAC Kamra Internship 2019 is given below. 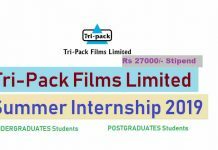 PAC Kamra Internship are offered two times in a year.